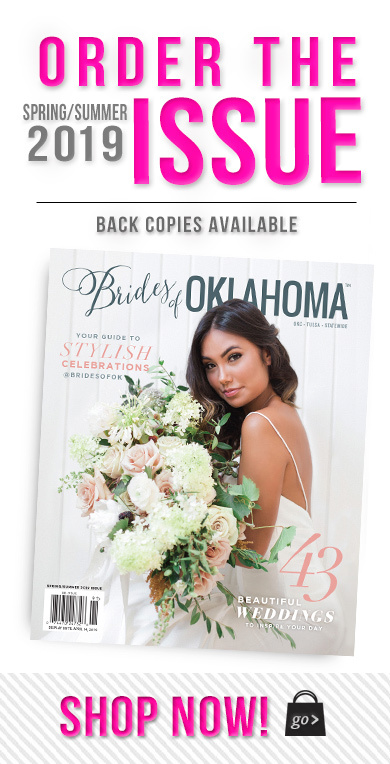 Brides of Oklahoma Spring/Summer 2018 Cover Revealed! 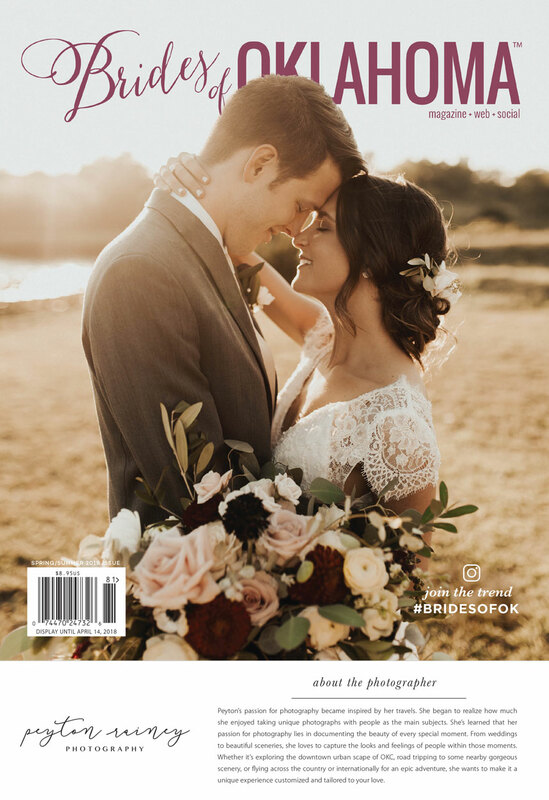 Ladies and gents — it’s finally time to reveal the lovely new Spring/Summer 2018 Brides of Oklahoma cover couple! 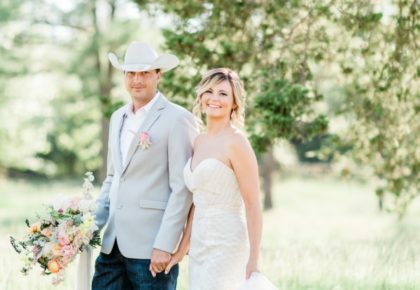 Say hello to the darling Rylan McElroy and her beau Trevor Miller, beautifully captured by Peyton Rainey Photography. The moment we saw this sun-kissed image, we knew it was the perfect fit for the upcoming issue. We can’t get enough of our cover bride’s romantic look! 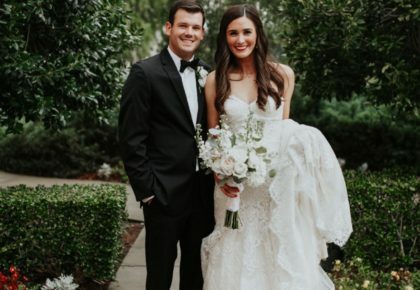 Rylan wore the Cambie by Truvelle gown featuring an ethereal flowing chiffon skirt and illusion V-neck, lace bodice from Chantilly Couture and entrusted Atherial Beauty to create a subtle but gorgeous makeup look and messy low bun to match. She carried the most stunning, natural bouquet of burgundy and rose-hued blooms arranged by Ever Something. 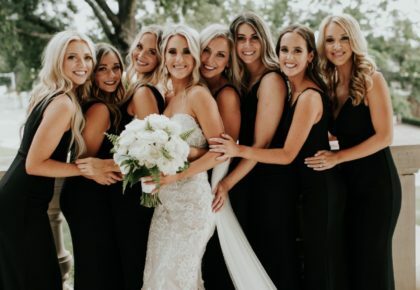 Congrats to Peyton on snagging her very first Brides of Oklahoma cover! 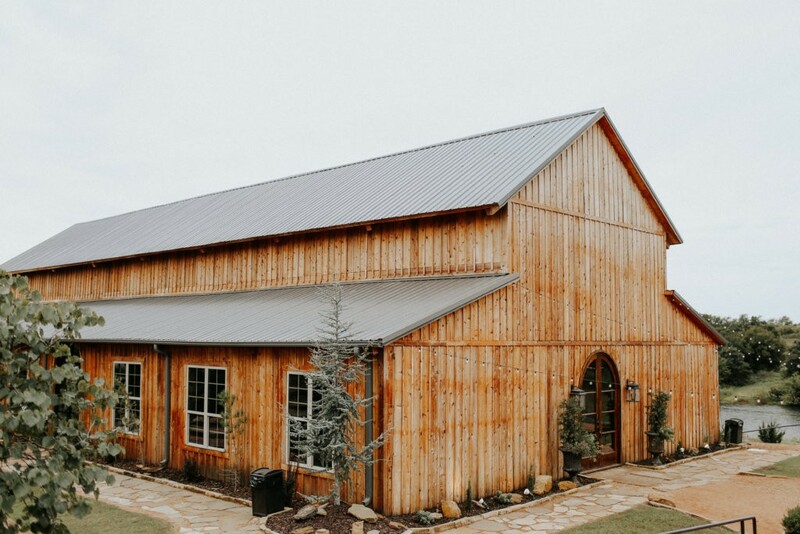 You can see Rylan and Trevor’s rustic wedding at Rosemary Ridge (featuring wedding rentals from Marianne’s Rentals Special Event Solutions and Party Pro Rents, cake by The Round House Bakery, bartending by Blue Label Bartending and wedding video by Redeemed Productions) in the new issue on pages A1-3 — alongside dozens of other fabulous Oklahoma weddings! The new mag will hit newsstands next week, but you can be one of the first to get your hands on theSpring/Summer 2018 issue by pre-ordering today! Plus we’re offering free shipping on orders of two or more in honor of the cover reveal! Hooray! Don’t wait another minute!